This past weekend at the Sentry Tournament of Champions, Dustin Johnson gave notice that he’s already in top form to defend his World #1 ranking with an astounding 8-shot margin of victory over the PGA Tour’s recent winners. At the other end of the scale, several players looked like they were still shaking off the effects of a long Christmas party with less than inspired play at Kapalua. Should we read anything positive or negative into a player’s performance at the Tournament of Champions? Craig Loughry, Golf Ontario (@craigloughry): It’s one tournament. I don’t judge anyone based on just one tournament. DJ is in fine form, the rest will eventually work off that rust. There’s ebbs and flows to throughout the season for every player, let’s not get too jacked about DJ’s play, nor poor play of others last week. That’s golf. That said, I’d rather start a season with a W! Dave Kaplan, Freelance Writer (@davykap): I think it’s impressive that DJ began his season by laying a beatdown on the rest of the field, but I don’t think you can really read into any performance in early January as concerning or indicative of some overall trend. This was the first tournament of 2018 and it showed for most of the field. They were rusty. Plain and simple. It’s the same thing that we go through every year in April (March, if we’re lucky) when the snow lifts and our muscle memories fail us, and we thin, skull and shank our ways around the golf course for the first few rounds. Is Brooks Koepka going to continue to struggle all year because he couldn’t break 74 in his first event of the season? I wouldn’t count on it. 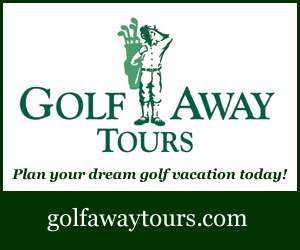 TJ Rule, Golf Away Tours (@GolfAwayTJ): I always look closely at the results of the first tournament of the year to see how well my year long golf pool is doing, as if the first tournament has any bearing on the full year. In reality, this tournament provides virtually zero insight into the yearlong results for each player. You can only imagine that some guys prioritize family, turkey and beer over range and putting green time over the holidays and therefore show some rust in the first week of the season. It certainly looks like DJ is serious about holding onto that world No 1 ranking for a while though, especially if he keeps driving the ball that well, he’ll be wearing a green jacket sooner than later! Michael Schurman, Master Professional / Life Member, PGA of Canada: The Tournament of Champions is full of enigmas! It is the most difficult field to gain entry into and some players regard it highly. Others enjoy playing both tournaments in Hawaii and take their families for a two week ‘working’ vacation. Stewart Appleby made a career out of winning three years in a row, which earned him consecutive repeat appearances and a +$1M cheque each time and remember, that was when the T of C kicked off the year. (Basically ‘one and done’). I’m sure first timers are still in awe of themselves and their surroundings. It’s difficult not to read great success for D.J. but it’s also difficult to say Brooke Koepka’s career is over for finishing last. The players who benefited the most this week are: Brian Harman and Hideki Matsuyama. Hal Quinn, Freelance Writer, Vancouver: D.J. and Thomas are among the few who have survived winning in Hawaii — Appleby being a casualty who comes quickly to mind. It is the land of 432-yard drives, so not a good gauge at all. (I took nothing positive from airmailing a green from 216 yards with a 6 iron, or negative from crushing a 135-yard 3-wood on Maui). Really, the season should officially start when the vagabonds return to the fantasyland of the genius-in-chief. Then we’ll see who’s primed for the run up to the Majors. Peter Mumford, Fairways Magazine (@FairwaysMag): Despite the wrap-around season, many of the top players skip the Fall Series and kick off their season in Hawaii or California. The winner’s only event in Kapalua is evidence of achieving one of their goals: win an event, get to Hawaii. Check! So for most players it’s a point of pride to be there and perform well in front of the other winners – maybe even establish some bragging rights. Nobody wants to look bad in that company of elite players. It would be acknowledging that perhaps you don’t really belong. DJ made a statement that backed up his World #1 status and several others demonstrated that they’ll be pushing him all year. For the guys at the back of the pack, apart from Koepka who is nursing a wrist injury, some of them maybe don’t get it – they still look at the Tournament of Champions as a paid vacation. It’s not. It’s a chance to strut your stuff in front of the best field of the year. 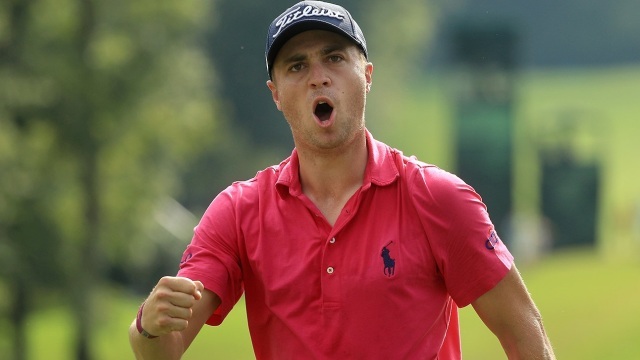 Last season Justin Thomas had a breakout season winning five times including his first major. Who do you think might have a similar breakout season in 2018? Deeks: One of the young players I have great expectations for is Xander Shoo-fly. (I can’t spell or pronounce his last name, but Shoo-fly is pretty cool in my books.) Not sure why he stands out, but I wouldn’t be surprised if he has an outstanding season. I’d really love to see a foreign player break out this season, too. Loughry: Rahm. He has just shown those golf indicators, even as recent as last week, finishing second, and he’s going around these tracks for the second time, so he’ll be that much better. He’s one to watch IMO. Kaplan: I’m probably biased being a small left-hander and all, but I think Brian Harman’s trajectory is going to keep rising in 2018. And I also think Patrick Cantlay is going to build off of the momentum of his first PGA Tour victory this past November and have a huge year. In fact, he’s my dark horse pick for all four majors this season. Rule: Well, it might not seem like a breakthrough because some may think of him as already having broken through, but with only 4 career wins and no majors, Rickie Fowler has underachieved and I think that changes this year with a major and multiple victories. I’m a big Rickie fan so I hope I’m right – it would be good for the game. Schurman: The T of C is hardly an indicator of whether or not a player is headed for a breakout season since the season is already 25% complete. A ‘breakout’ must consider the player. Given Dustin Johnson is hitting the peak of his career and has the skills to dominate on any course a ‘breakout’ for him would be two or more majors; don’t be surprised! A repeat win of a major by Sergio could also be considered a ‘break out’. In the more traditional definition of the word I like Jon Rahm and Brian Harman to win majors and some additional events. Quinn: In the midst of the most compelling youth movement in Tour history, there are a lot of candidates. Schauffele looks capable, but so do Berger, and Koepka, and Matsuyama et al. But like D.J., Jon Rahm has the incredible power and accuracy, and finesse, to really put on a show. He’s getting his temper under control but not his fire. It’s going to be fun watching him all season, one he could dominate if D.J. keeps wearing socks on staircases. Mumford: Jon Rahm looks poised to have a huge season. He won a couple of times on the European Tour in 2017 to add to his exciting victory at the Farmers Insurance Open a year ago. He’s now #3 in the world and doesn’t appear to have a weakness in his game. All that’s been lacking is experience and with a terrific year under his belt, I’d expect the next step will be multiple PGA Tour wins and a major. I’m not sure it counts as a breakout season but I think Justin Rose is also slated to step it up in a big way in 2018. He finished last season with a huge charge on the European Tour and desperately wants another major or two. Maybe this year he wins the playoff at The Masters. Tiger Woods announced he will start his season at Torrey Pines followed by Riviera three weeks later. Both courses are very familiar to him, although both are tough driving courses with thick penal rough. Would Tiger have been better to start the season at a more forgiving venue like the desert courses in Palm Springs or Scottsdale? Loughry: Tiger knows those courses, he may hit the odd errant shot but he KNOWS those greens. Let him play, see what he can do. Plus he’s a west coast guy, born and raised, so it’s a homecoming for him. Although I’d sure love to see him in Scottsdale. Kaplan: I think Torrey is a really good choice for Tiger’s 2018 debut simply because of how many times he has won there before. It will be an extra boost of confidence for Sir Eldrick and I think it will really help fuel him through the week there. I’m not concerned with the longer rough because Tiger’s driver swing looked pretty darn good at the Hero and he can just about rip through any length of rough, if need be, as he has shown on numerous occasions. And I love his choice to follow that up with Riviera, where he began his career and where he has never won as a professional! (That might be the most interesting Tiger statistic of them all.) Both of these venues will be good tests for him as he transitions back to tour life and I think it’s a good thing that he’s challenging himself right off the bat with a couple (or a trio, rather) of tougher tracks. Rule: I think it was a no brainer that he decided on these two courses since he’s had so much success on them. It doesn’t matter how tight a golf course is, it’s all about comfort level, and having won eight times at Torrey Pines, I’d say El Tigre is pretty comfortable there. Can’t wait to watch him in a real tourney again! Schurman: Tiger swung better at the Hero World Challenge than I have ever seen him perform before. If he continues to do so his driving will be better and although he three-putted a lot, he did sink a lot of lengthy putts. His pitching is still a little suspect. Torrey will give him a perfect opportunity to work on these things on a course he loves. Tiger’s record at Riviera is not as good but the Tiger Woods Foundation is one of the main beneficiaries meaning tournament golf might not be his prime focus. As much as he might gain more from playing the desert, those events are Pro-Ams and the rounds take well over 5 hours to play, which isn’t a lot of fun. Quinn: Familiarity breeds content, and the Eldrick of Yore certainly put up some nice numbers on these layouts. But hitting fairways will be the key and I can’t see him hitting enough of them or long enough to be a factor. An easier test — and an easier walk post back surgery — was likely what the doctors ordered, but when did he ever listen? Mumford: Tiger appeared to drive the ball well on the generous fairways at Albany Club but a limited field hit-and-giggle event in the Bahamas is not the same as the main event. Despite his familiarity with Torrey Pines and Riviera, I think he would have been better to start the season in the desert – either in California or Dubai. The hot desert climate and forgiving course conditions would be ideal for his back and his confidence.